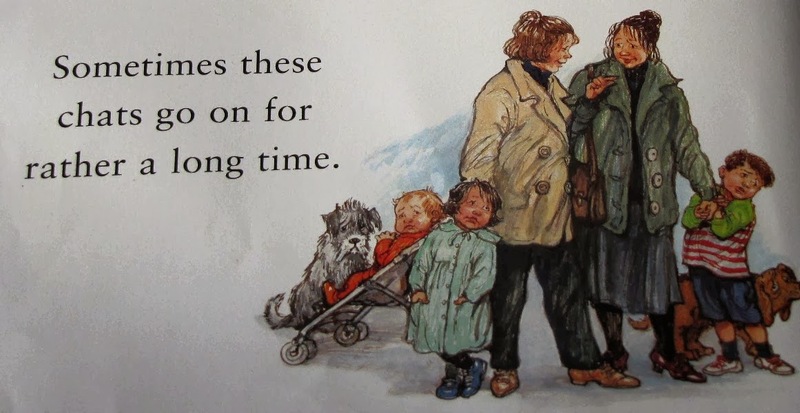 This image is taken from my daughters well-loved copy of 'Things I like' written and illustrated by the peerless Shirley Hughes. When we moved into our house, E was nearly two and O was a growing bump. After the excitement and stress of the house purchase and moving to a completely new locality, E, Bump and myself found ourselves somewhat deflated. E was teething and hated the new house, it was quite gloomy as it had not been occupied for many months and had last been re-decorated since the 1980's. For me pregnancy is a time of great joy but also of extreme fatigue and sickness, morning, noon and night. E would wake up crying and point to the front door and sob, "Out! Out! until we went for a walk so she could go lorry spotting. Unfortunately for out of doors activities, this was also the wettest summer ever, it literally rained for forty days so needless to say we joined the library very quickly, E could have a break from her lorry fixation and tired me could have a sit down and blithely ignore all the pressing jobs waiting back home. 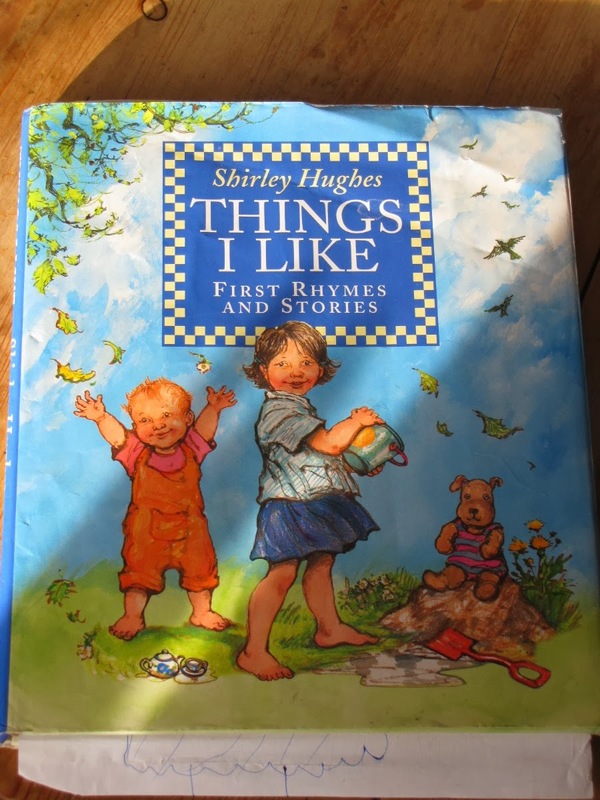 'Things I like', was borrowed so frequently that I searched for her own copy for her birthday and we used to sit and read it over and over. I loved the depiction of the relationship between Katie and her little brother Olly and was so excited that E was soon to experience that for herself. 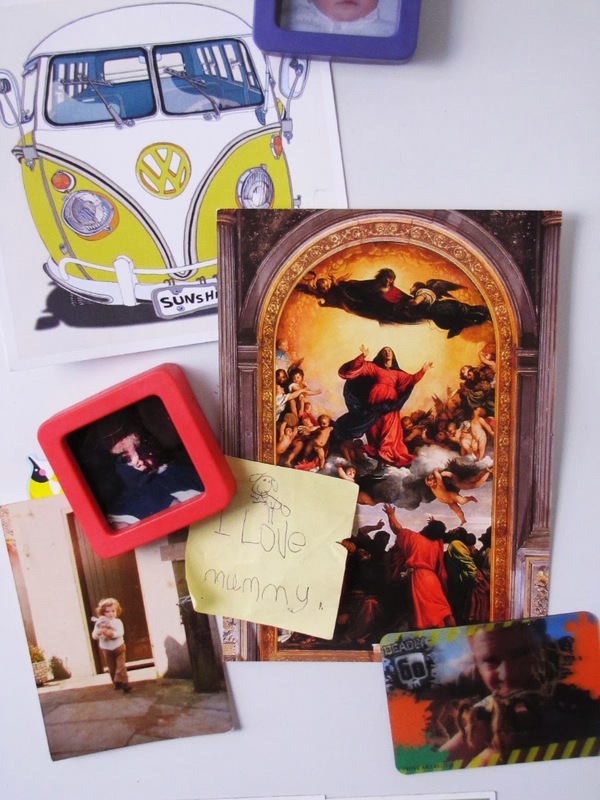 I think E loved the pictures as they are truly envisioned from a child's-eye view of the world and all the lovely things that they notice, experience and explore. At times though the first illustration used to make me feel a little melancholy and I wondered how long it would take until I knew some people to chat to, friends to hang out with and a sense of living within a community instead of at the peripheral of one. Well, we have now been here in Oriel for an unbelievable five years, heading towards our sixth summer. 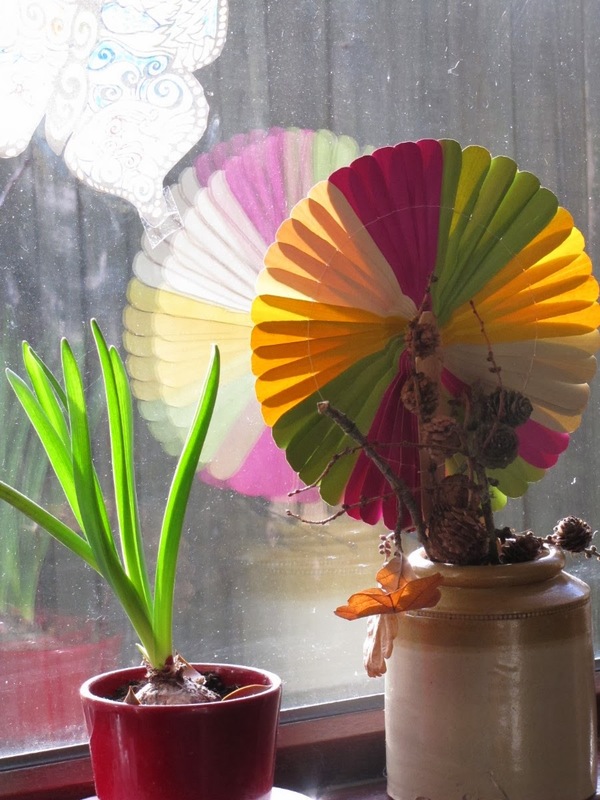 Our house has become a home and while far from finished now has much more of our identity and love installed in it, E and O have managed to survive their early years in my care and yesterday I spent the whole day enjoyably chatting. While walking the dog, I caught up with the local news, from the morning regulars, sad and happy news and a rather surprising piece of salacious gossip! Next, it was off for coffee and croissants and to talk about the ups and downs of running a small business with the lovely N and parenting and crochet advice with the marvellous F and finishing off with ethics and social policy over lunch with the busy whirlwind that is the inspiring S. I also like having a number of 'familiar strangers' to share 'Good morning. 's and 'How are you? 's with, never stopping to chat just a friendly acknowledgement of a shared space and routine. It is hard enough being a migrant around these Atlantic Isles as I have done, the experience of traveling and integrating into a completely different culture must take great reserves of stamina. On talk radio the other day, they were discussing the heightened risk of schizophrenia prevalent in migrant communities and that this increased risk is apparent whatever the home nation or the host/destination country and I think this is indicative of the stress of leaving one familiar identity and community and the reconstruction of an alternative sense of place. I fear though that some people are just born with itchy feet, Mr S hails from a family that has travelled and settled all over the world and back again. I couldn't wait to leave home as soon as I could, the world was too vast, full of opportunities and experiences to stay in one place. When the children came home from school, E was full of chat about the Kildare born, polar explorer Ernest Shackleton and as we read about his incredible story of survival on the Endurance expedition, her eyes were shining at the thought of this amazing journey. I on the other hand was thinking as we sat around my cosy table, that for the moment and it is going to be a very long moment, there is really no place like home.